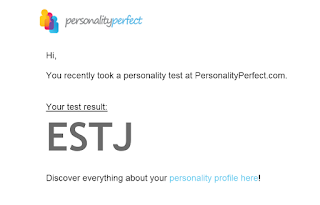 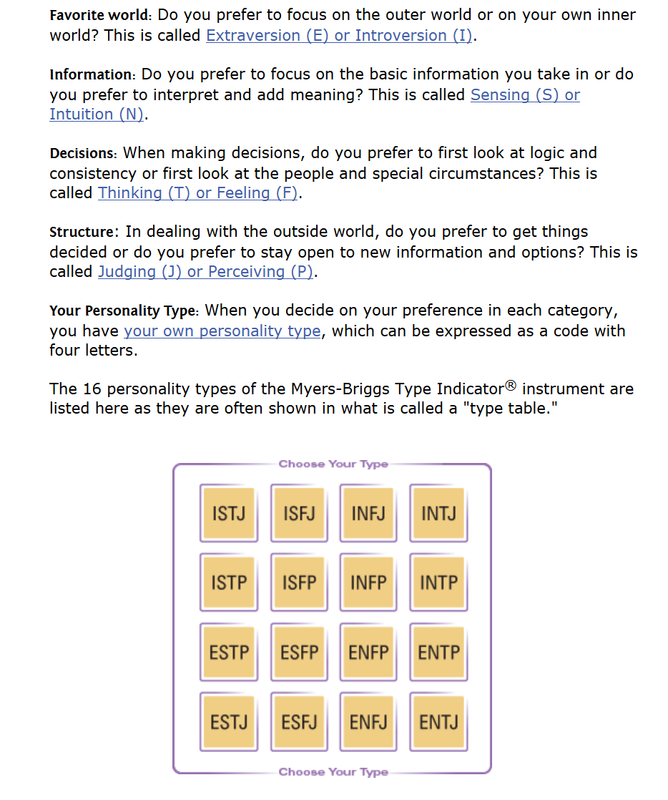 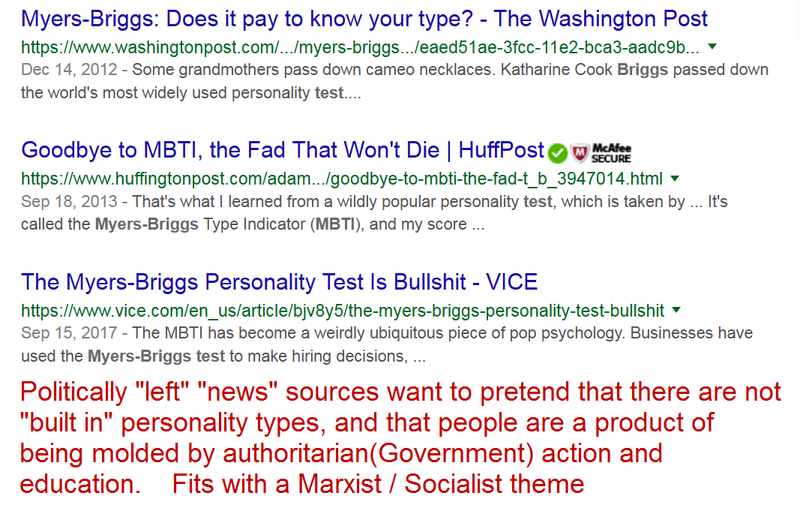 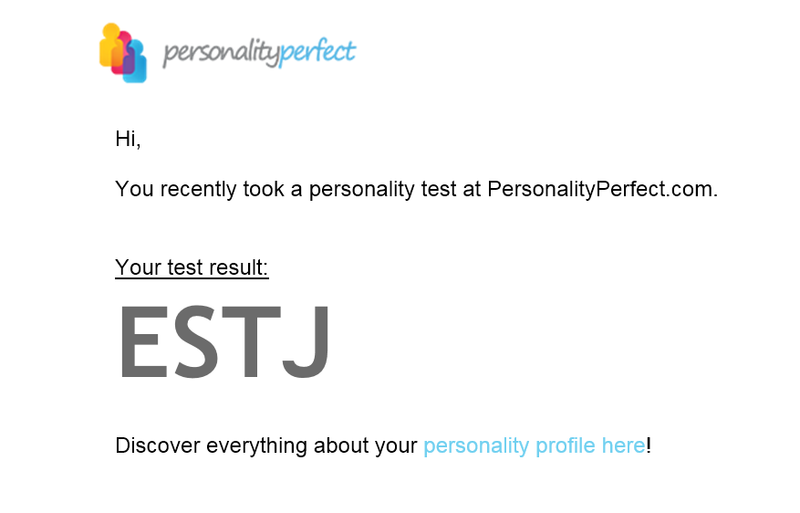 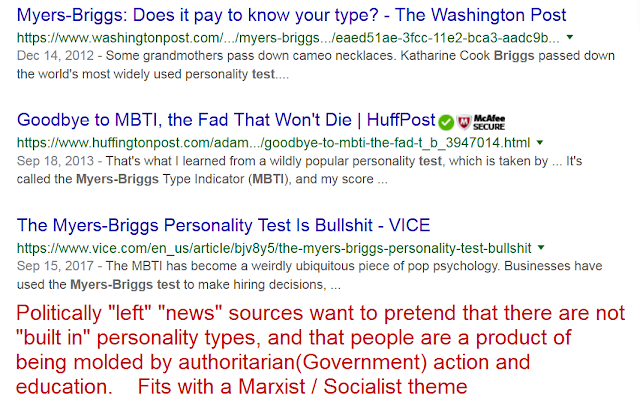 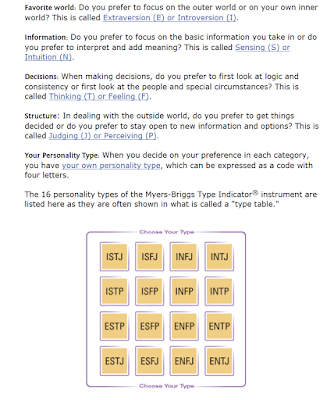 I did a few Myers Briggs personality tests. 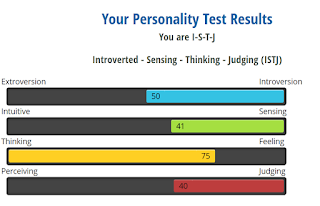 They were interesting. 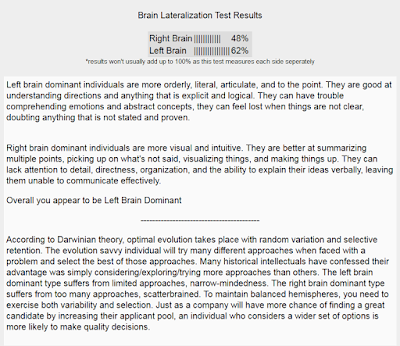 I found that the ones that gave repetitive results, were the ones that had a sliding scale of response, like 7 choices, instead of just 2. 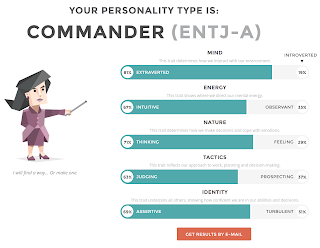 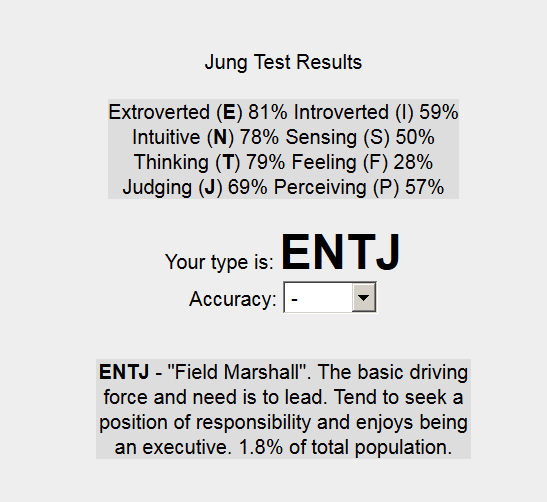 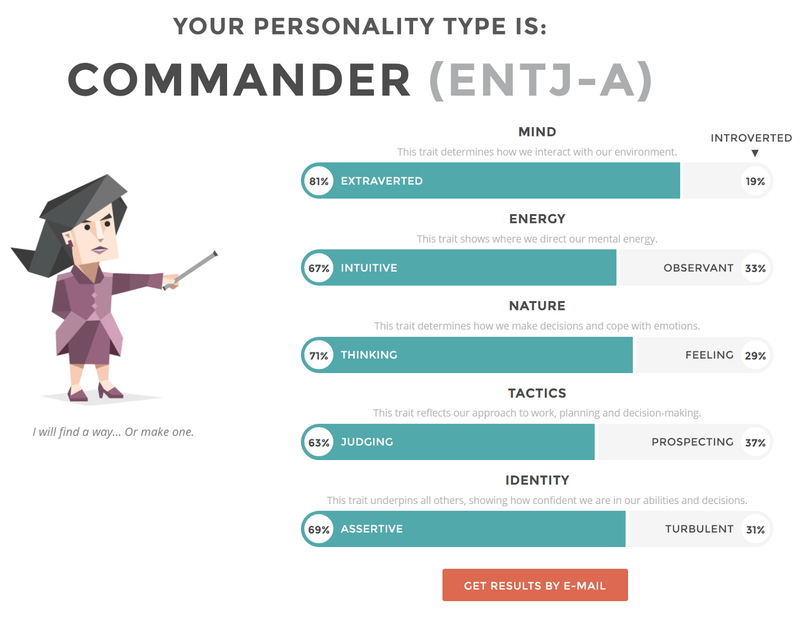 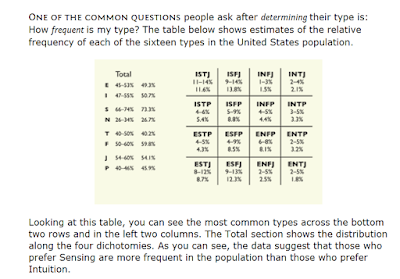 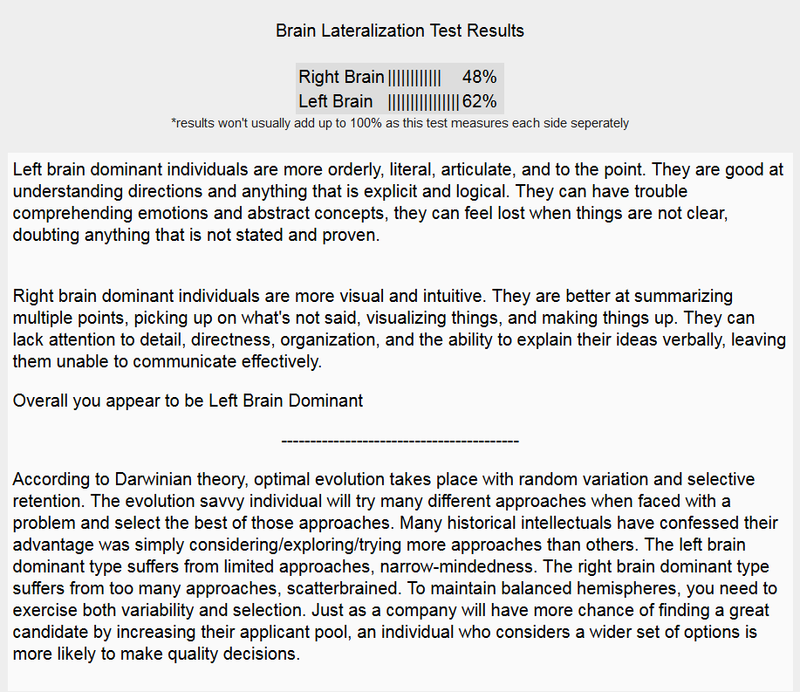 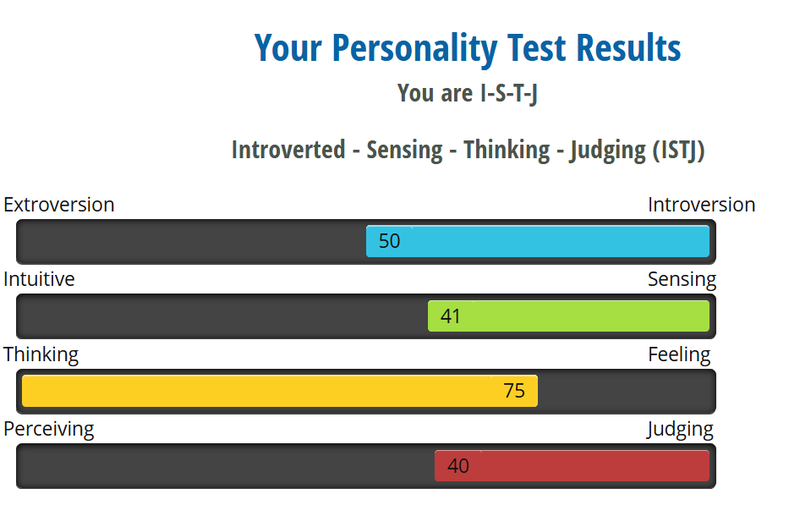 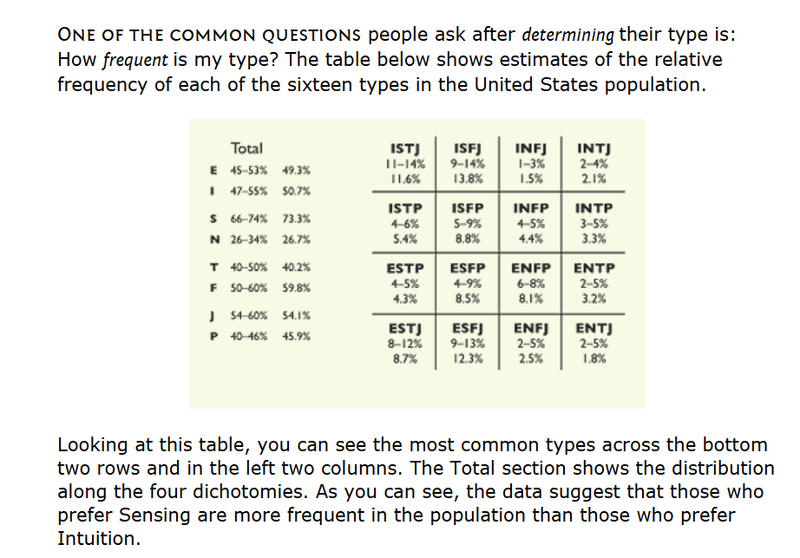 My most likely category is ENTJ which is less than 1 in 50 people, the second most rare category.